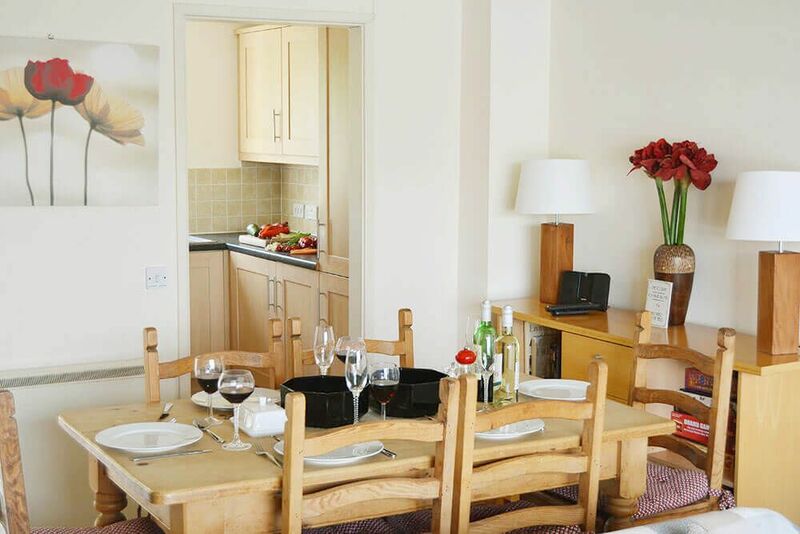 Swan Lake Lodge can also be booked with Caterina Lake Lodge, Lapwing Lake Lodge, Shelduck Lodge and Twitchers Lodge for larger groups of up to 30, as they are all within 200 yards of each other. 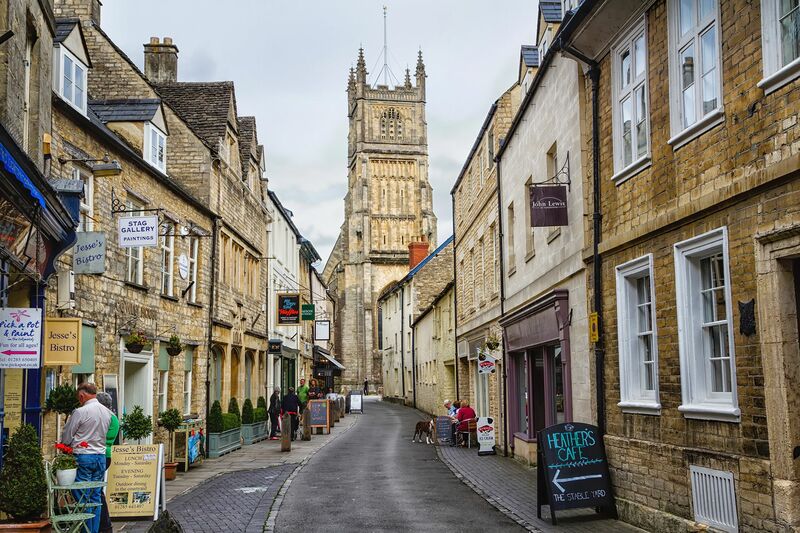 The Lodge is a mere 15 minute drive from Cirencester, the self proclaimed ‘Capital of the Cotswolds’. Open plan sitting and dining area seating six. French doors open out onto a private deck with superb lake views. 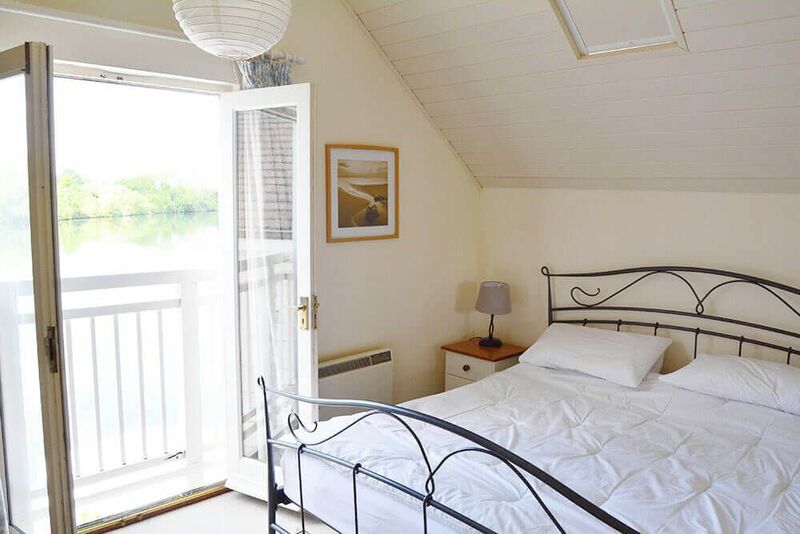 Master bedroom with 6′ super king size bed and a pretty Juliette balcony with amazing views over the lake. 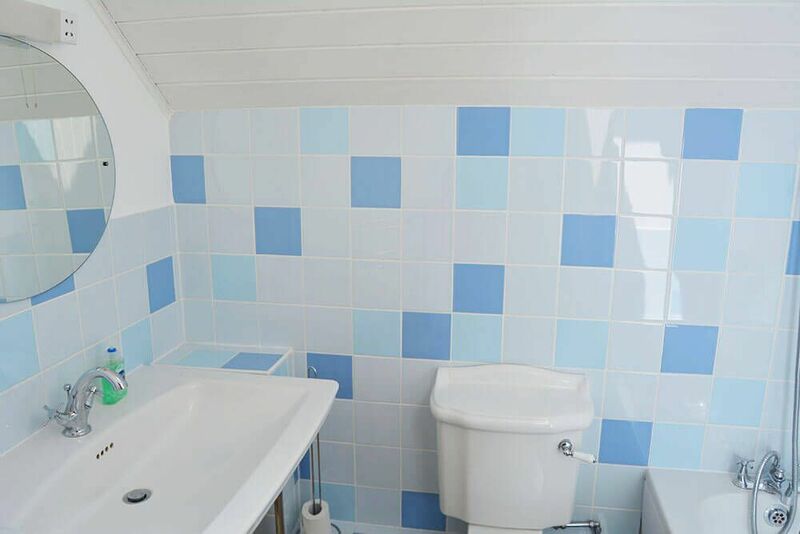 Double bedroom with a 5′ king size bed. 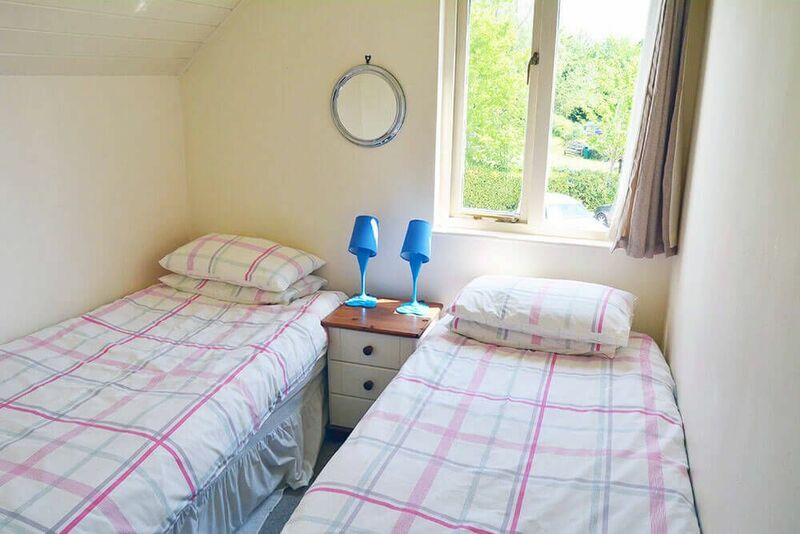 Twin bedroom with two 2’6″ single beds. Swan Lake Lodge is a chic New England-style lakeside retreat with so much to offer that it is hard to know where to start! 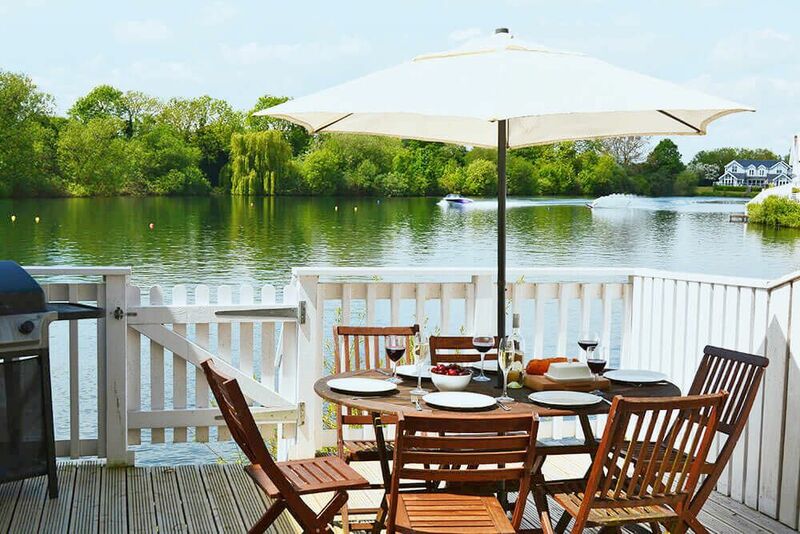 For most, the pretty clapper board-style exterior and fantastic water-front setting make a brilliant first impression, whilst the convenience of the location within steps of a family-friendly lakeside bar, brasserie and gym come a close second. 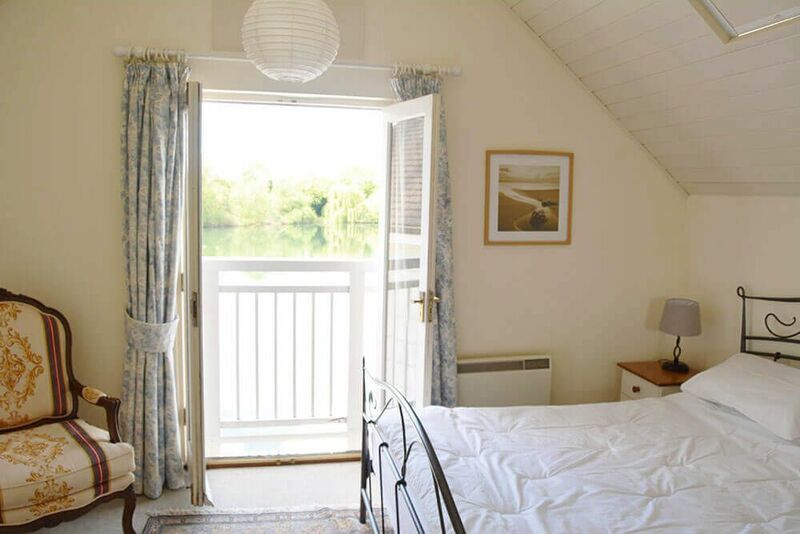 This contemporary and charming lodge offers light and airy accommodation with panoramic lake views from inside and out. 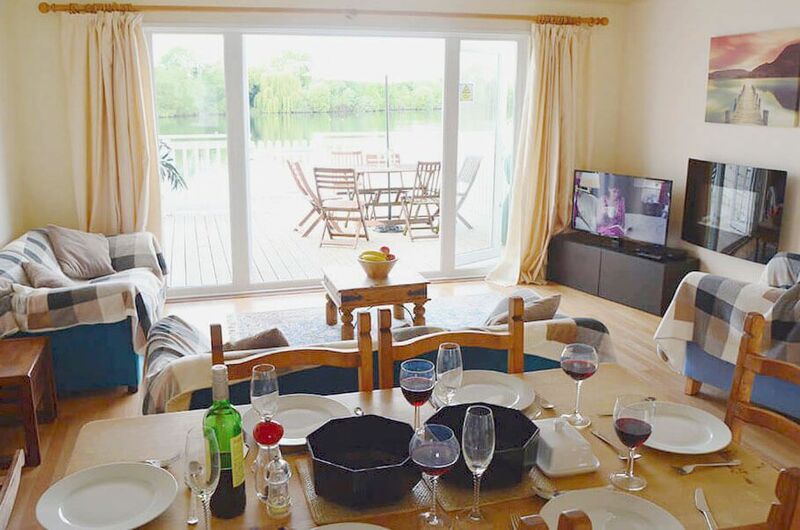 Downstairs, its open plan living and dining area flows out onto a private deck via French doors – a perfect spot for alfresco dining or simply to sit back and enjoy lakeside life! 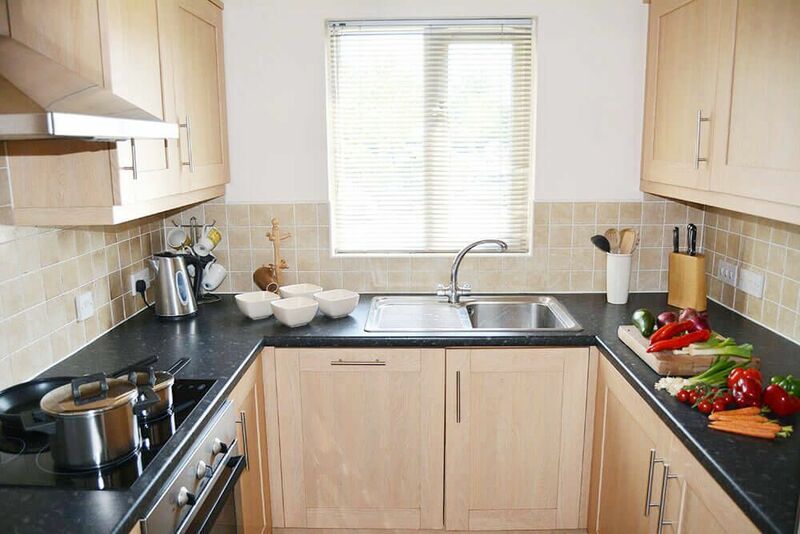 There is also a fully equipped U-shaped kitchen and handy downstairs shower room. 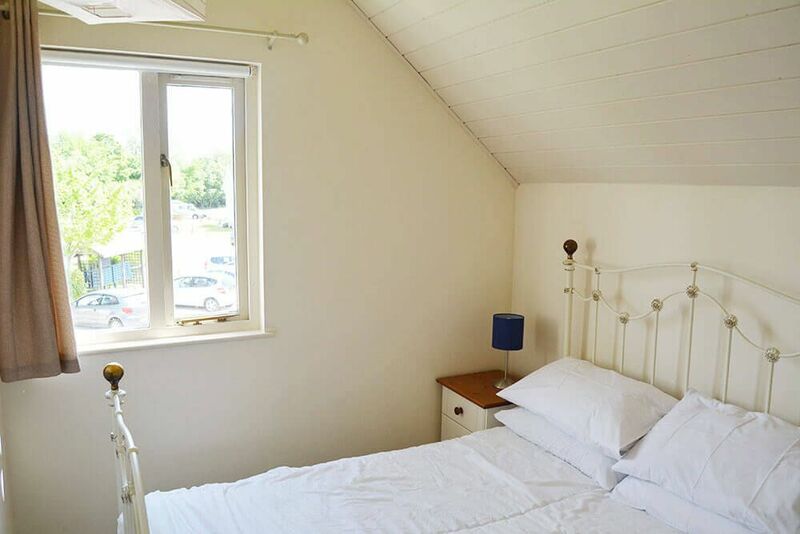 Upstairs a large master bedroom with a full length window affords stunning views of the lake, and there are two further bedrooms plus a family bathroom. 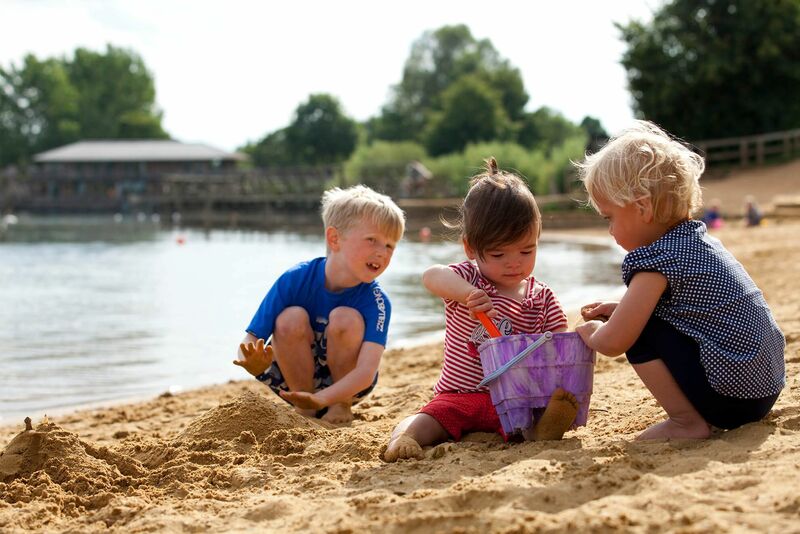 Extra care has been taken for families here; you will find lots of special touches around the house if you are planning on taking the little ones. 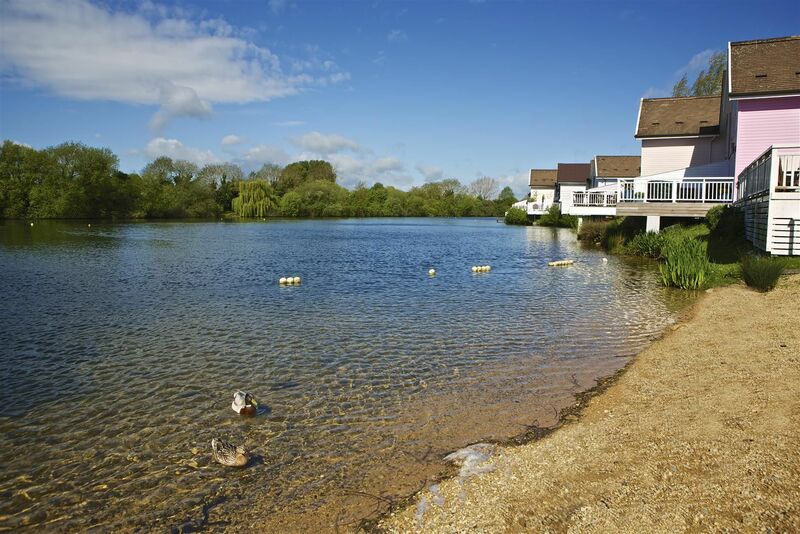 Situated on Spring Lake, Swan Lake Lodge has prime position in the Cotswold Water Park, one of the best kept secrets of Gloucestershire! 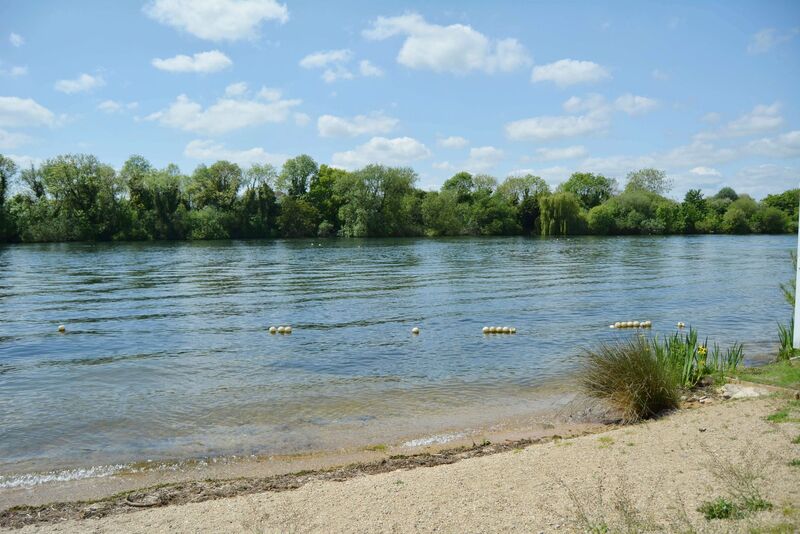 One of 150 lakes in an area the size of Jersey, there’s so much to explore and something for everyone. 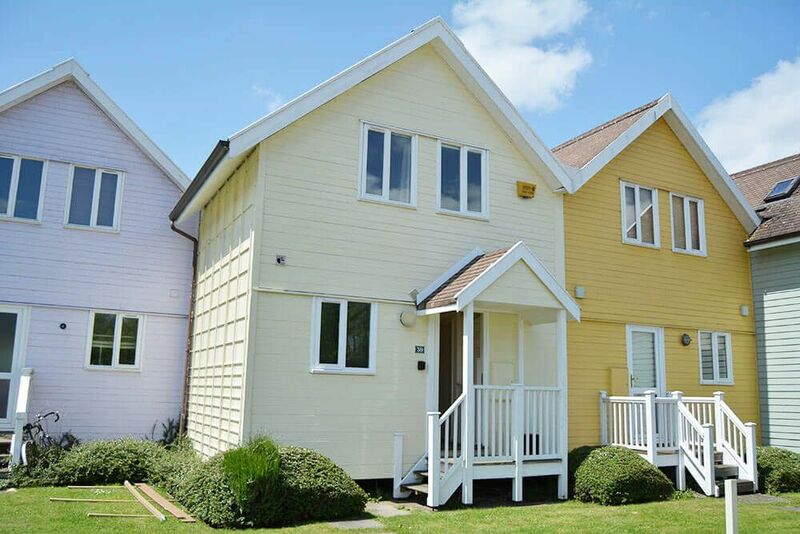 Like the name suggests, from the deck you can feed the resident swans and ducks that are very friendly. 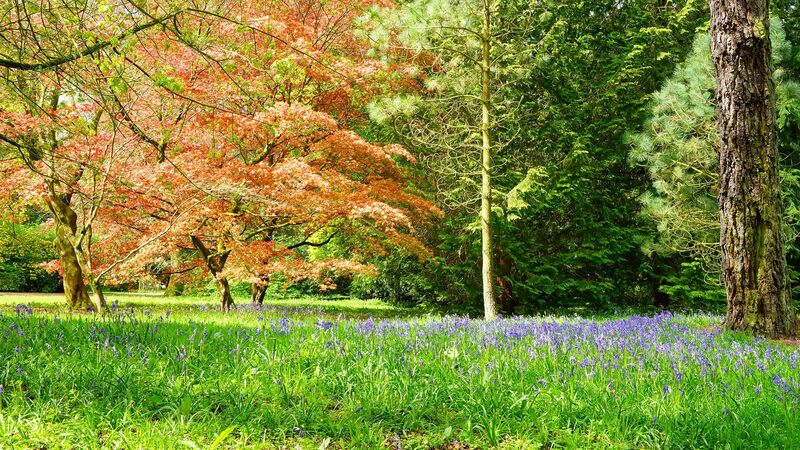 And you may be lucky enough to spot woodpeckers, herons and great crested grebes as well. 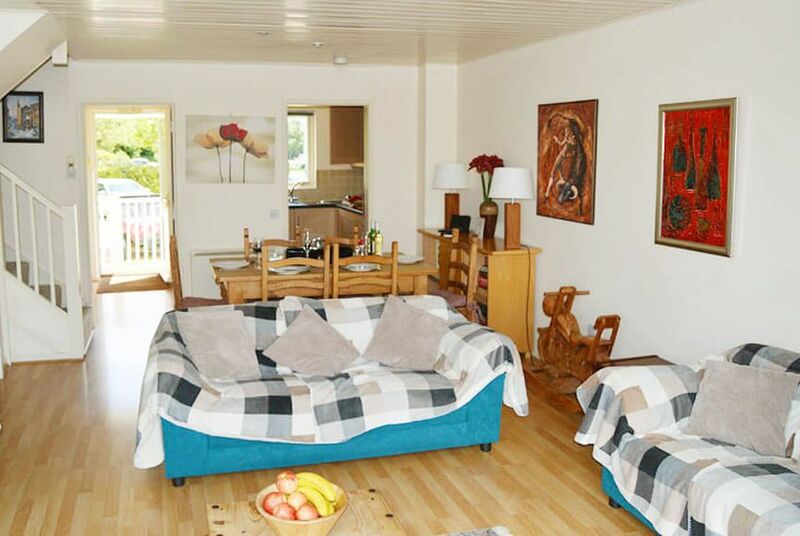 There is also an abundance of watersports, activities, great eateries, walking, history and culture to discover in easy range of Swan Lake Lodge. 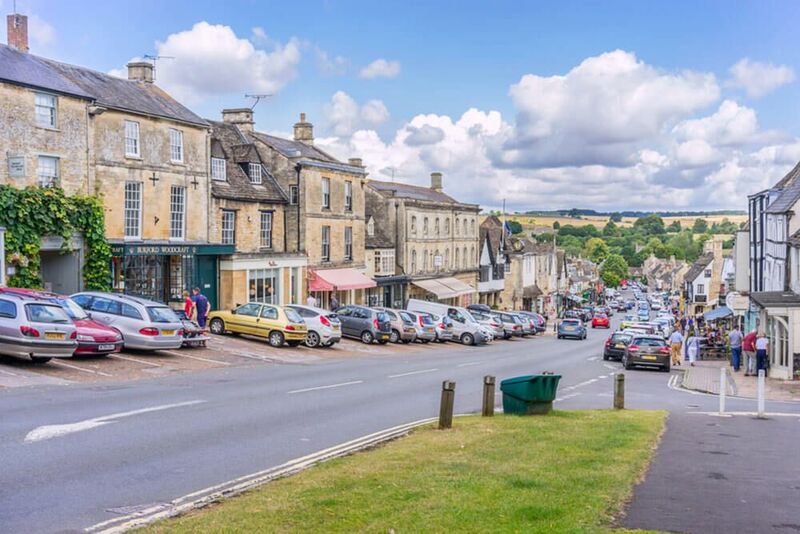 If you can tear yourselves away, Swan Lake Lodge is ideally situated too for exploring the towns and villages of the beautiful Cotswolds region. 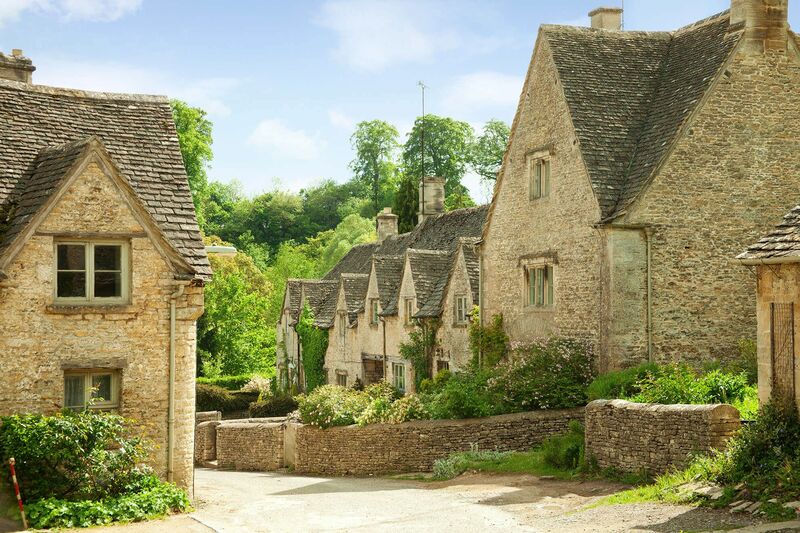 The well-known quintessential English villages of Stow-on-the-Wold, Bibury, Bourton-on-the-Water, and Moreton-in-the-Marsh, are all within easy reach and make a great day out. 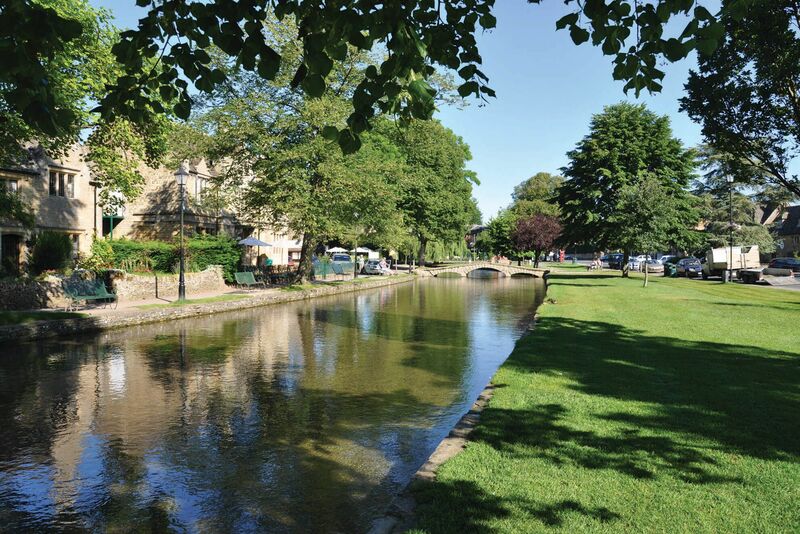 Located just over an hour from London, it’s the ideal place for families or a group of friends to spend time together at any time of the year. 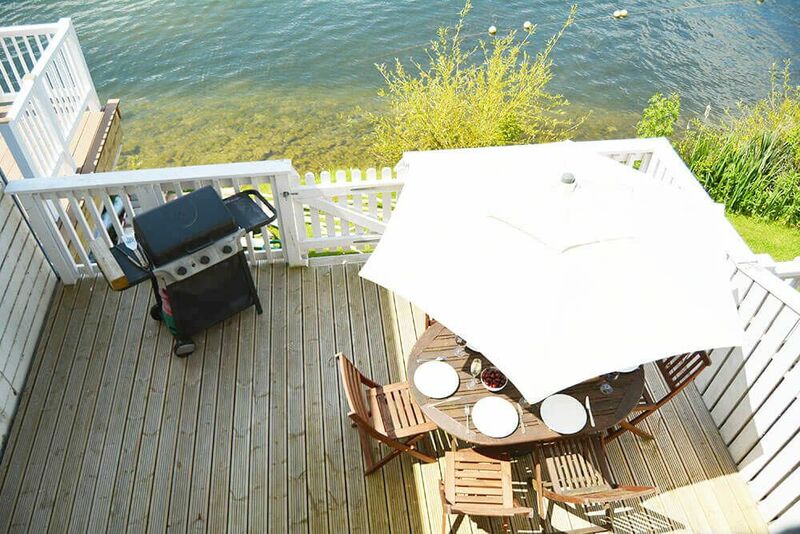 And, for larger groups of up to 30 guests, Swan Lake Lodge can be booked with our other Spring Lake houses, as they are all within 200 yards of each other. 2018-11-18 O Vermaak, London "Thanks for a great stay and wonderful hospitality! 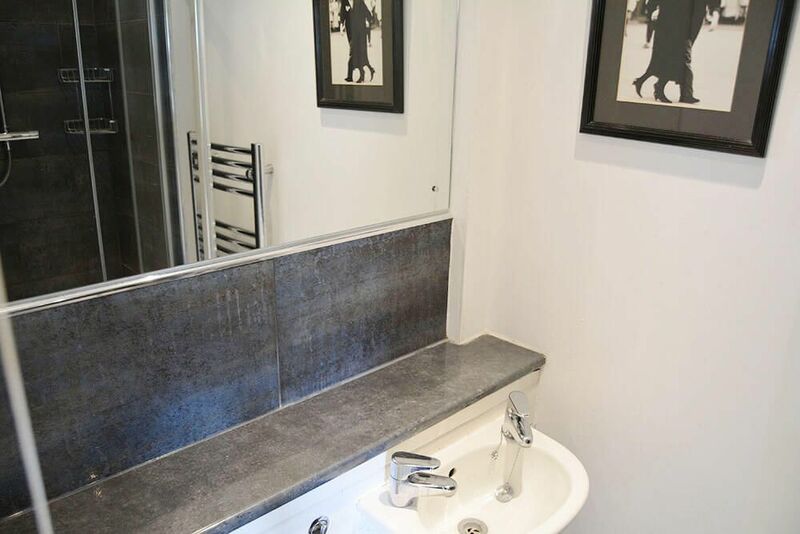 I’ll definitely be coming back to your beautiful location :)"
2018-06-23 Ben Duffy, London "Amazing house, perfect location and was all so easy." 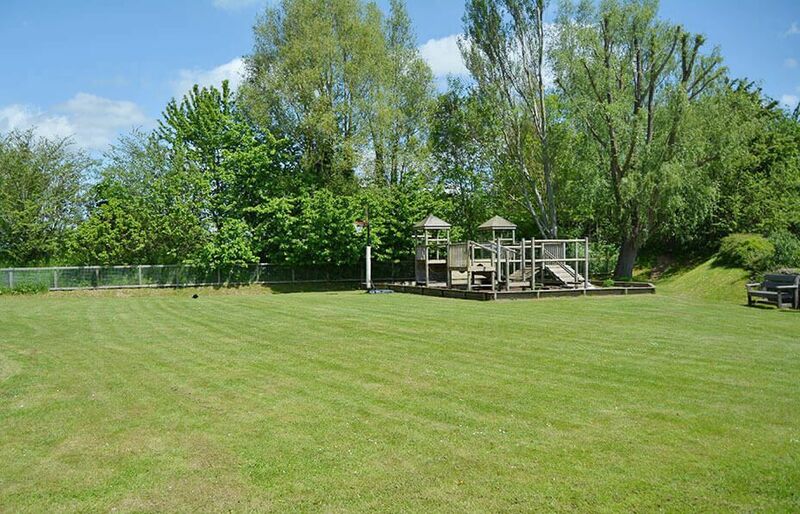 2017-06-16 K Barker, Portsmouth "Very lovely property with gorgeous lake views. 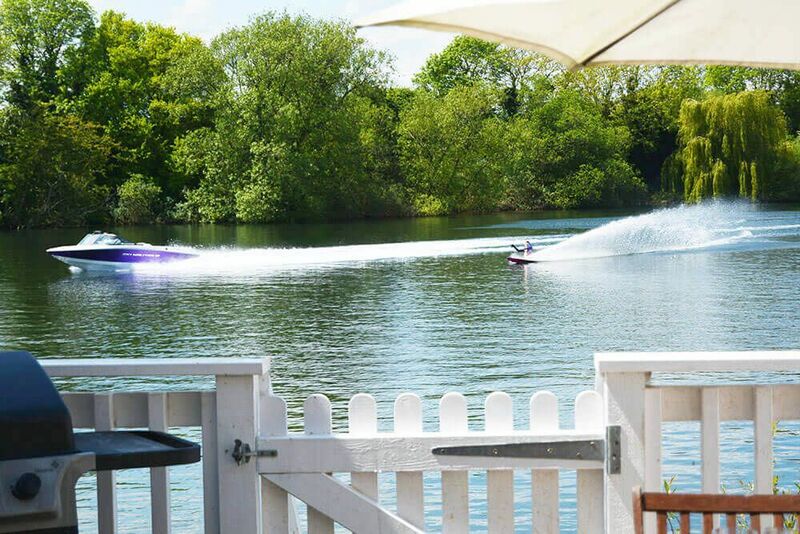 Right next door to wakeboarding place so fab for watersports people! 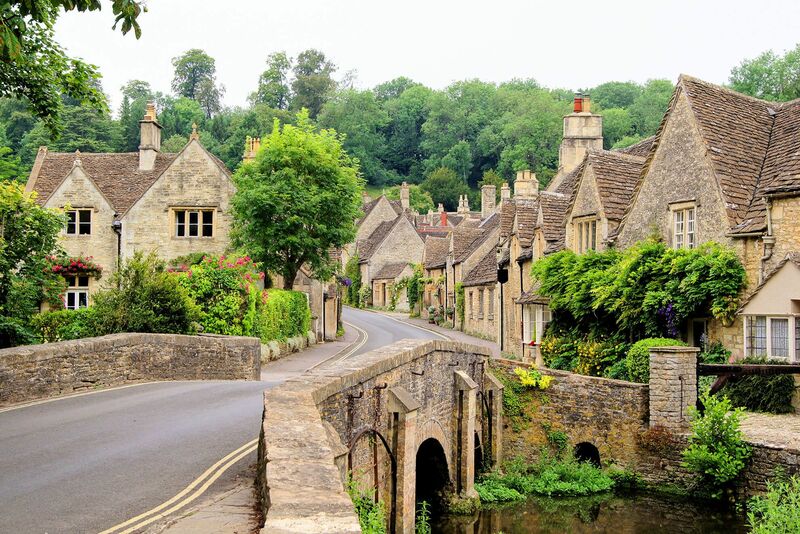 We had a lovely stay."